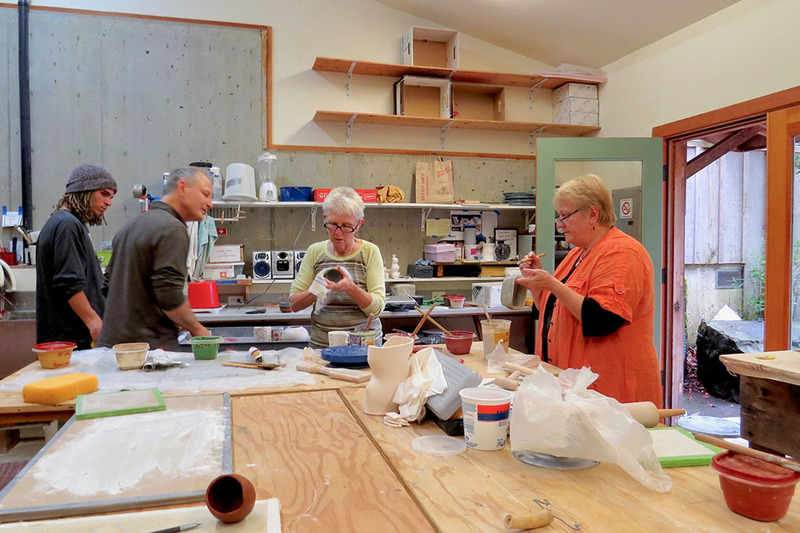 With the addition of the Sculpture Studio in 1999, ceramics, sculpture and woodcarving became much more accessible to artists on the Sitka campus. 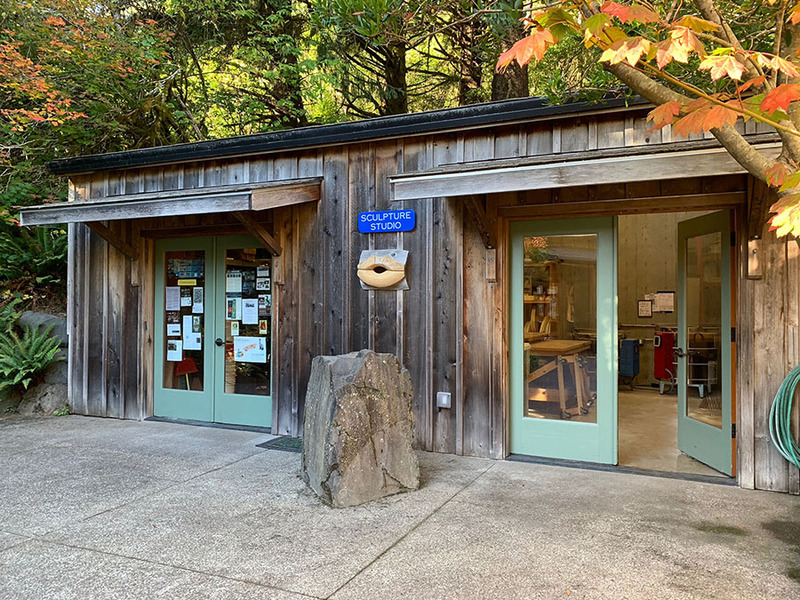 Designed by Waterleaf Architects, this 500-square-foot studio has two kilns, a pottery wheel and storage for various basic power tools for sculpture building, woodworking, and maintenance. 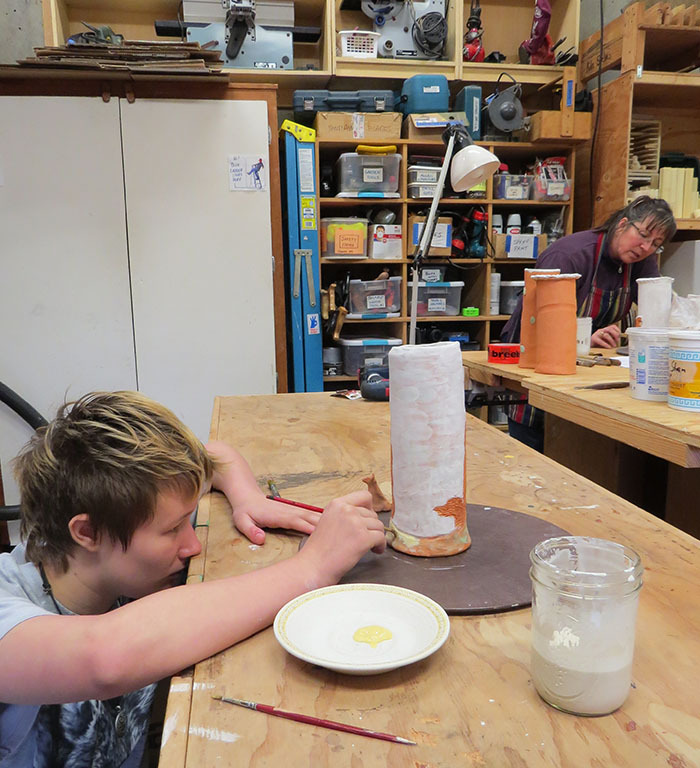 Our newest ceramics kiln was donated by Skutt Kilns. Our second kiln is a Paragon, which has the capablitites to fire both ceramics and glass. 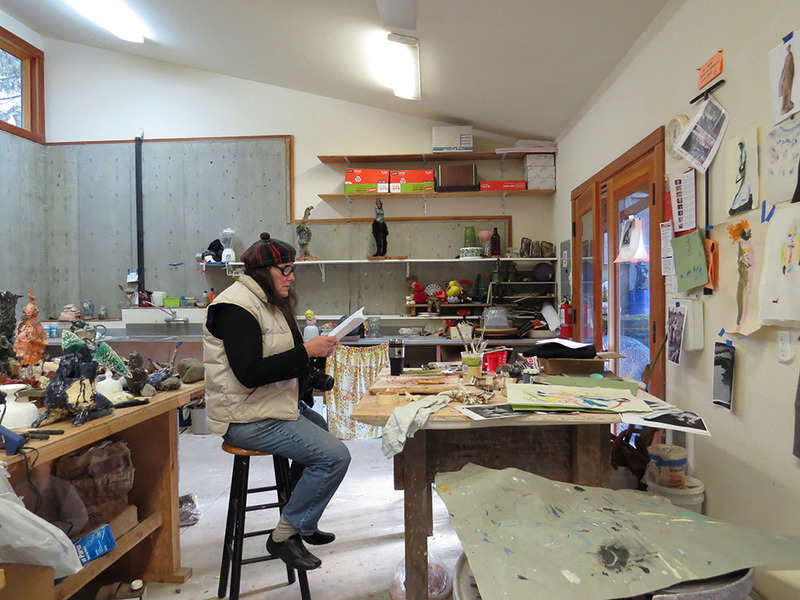 The sculpture studio is open for use by all residents and for certain workshops.